Full 700-6000 MHz Bandwidth. 500 W CW. 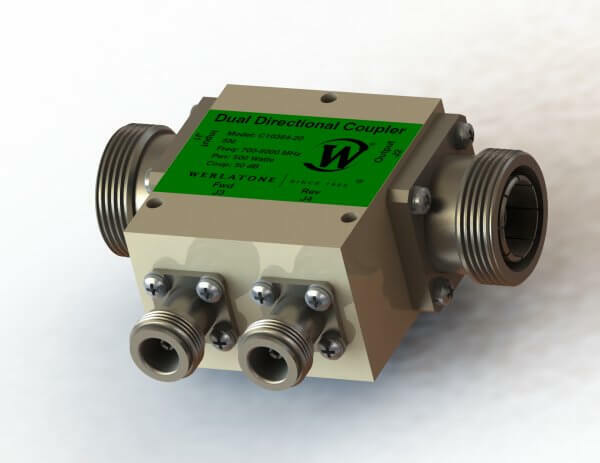 The Model C10364, a 50 dB Dual Directional Coupler, is designed Mismatch Tolerant®, capable of operation, at rated power, into a severe load mismatch condition. Measuring just 2.15 x 2 x 1.36", the C10364 operates with less than 0.2 dB of insertion loss and better than 15 dB of directivity. Power, efficiency, and bandwidth. Full 700-6000 MHz Bandwidth. 500 W CW. The Model C10364, a 50 dB Dual Directional Coupler, is designed Mismatch Tolerant®, capable of operation, at rated power, into a severe load mismatch condition. Measuring just 2.15 x 2 x 1.36″, the C10364 operates with less than 0.2 dB of insertion loss and better than 15 dB of directivity. Power, efficiency, and bandwidth.